I traveled from Northern VA to Charlotte, NC to photograph this precious little doll baby. I was sorority sisters with his mama Chrissy, a longer time ago than I care to admit. I can't say that I knew her very well at the time, but we stayed somewhat in touch through social media over the years. A few months ago, I posted a little newborn prop on my facebook page, and she jokingly suggested that I come to North Carolina once her baby was born. I checked with the husband and decided, why not!? So we made it happen! Something that I adore about photographing newborns is connecting with the new mamas, hearing their birth stories, and forming/strengthening friendships. In Chrissy's case, it was just so amazing to spend a few hours together recounting the good old days, and sharing stories about life as a new mother. And I left feeling I had regained a friend. I already feel so blessed to get to do what I do, but on top of that, I love that my passion has made acquaintances into friends. 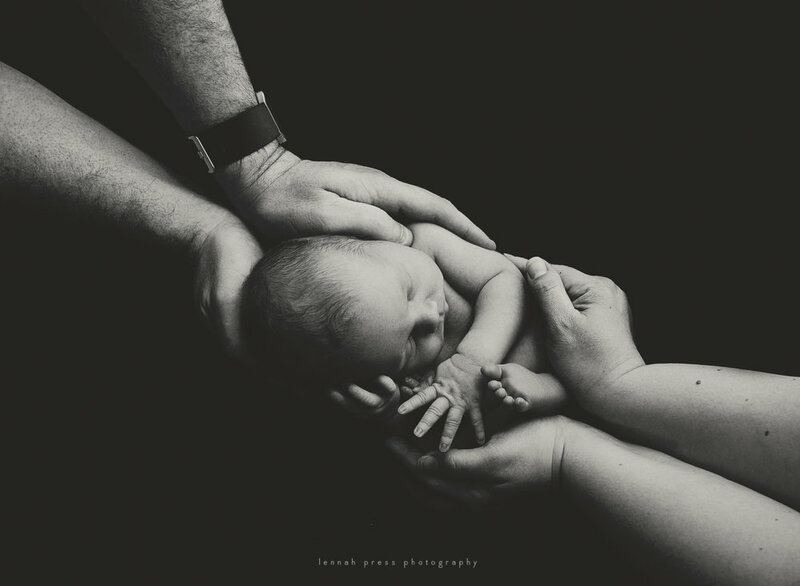 I'm acutely aware of what a blurred, messy but magical time the days following the birth of a child are, and I am humbled to be invited into the homes of new parents to document their tiny newborn.